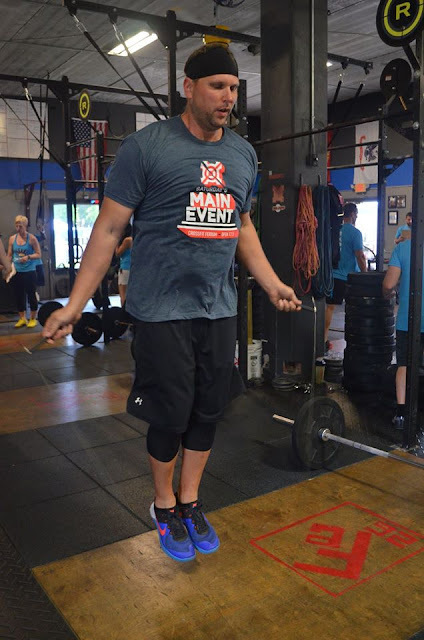 Breaking the DB work from the beginning will be key to maintaining solid double unders and being able to move consistently for all five rounds. Trying to go unbroken from the get go could come back to bite you on the next round. Be smart with your breaks and you'll move faster in the end.